More late notice. Sorry. I was having too much fun this weekend with my old friends, Jack and Jim. 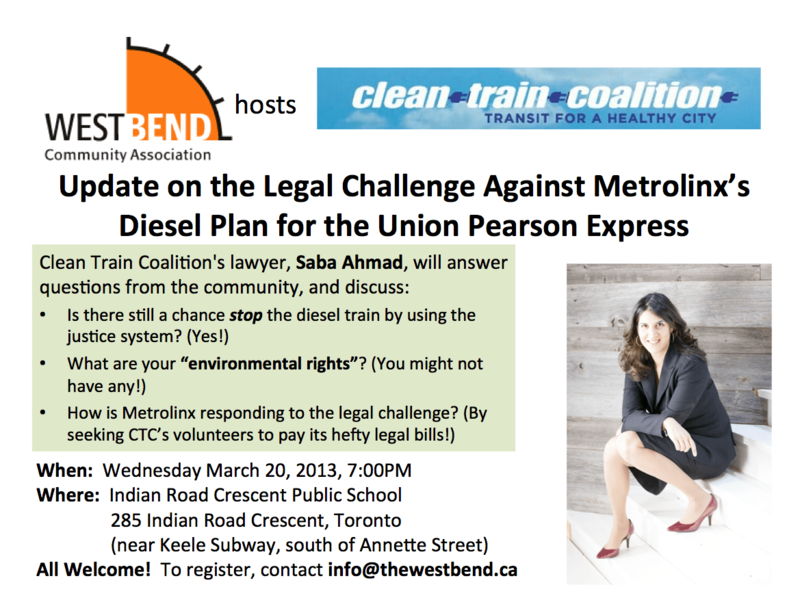 We enthusiastically invite you to a public event, hosted by our friends at the West Bend Community Association, featuring a discussion from our lawyer Saba Ahmad, on the progress of our legal challenge against Metrolinx’s ill-conceived plans for using diesel trains for the Union Pearson Express. Please find details below (click on image to enlarge or download a copy here). For more information on the West Bend Community Association, visit thewestbend.ca. Previous Previous post: Party tonight!